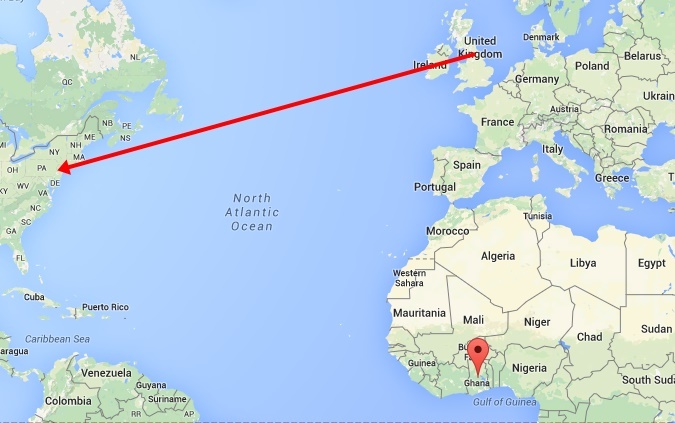 Lisburn, Newcastle, Ghana, New York, Sierra Leone and Rwanda so far. 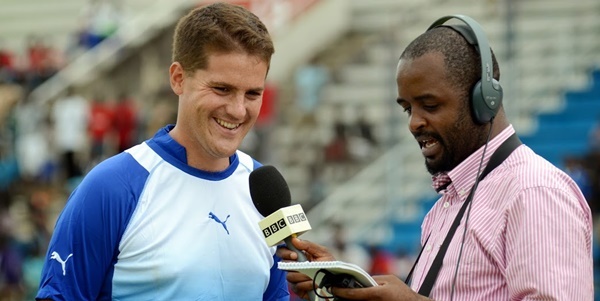 Johnny McKinstry is a coach from Lisburn in Antrim who's on one of the most interesting career paths in football. The 29-year-old has already plied his trade on three different continents and has more experience than most coaches his age. 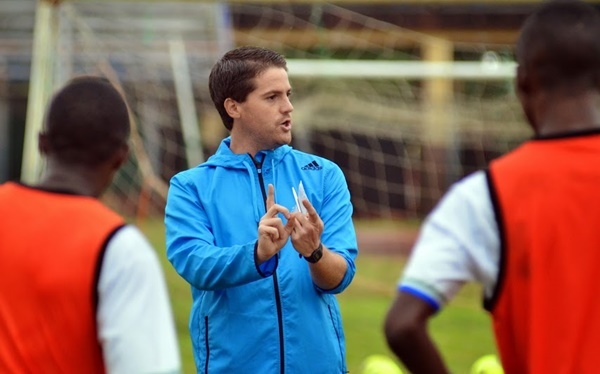 We spoke to Johnny on Skype from his office in the centre of Kigali in Rwanda this week where he was preparing the country's national side for upcoming Olympic qualifiers. We wanted to get the back story on a guy who's been honoured by Manchester United, worked through an Ebola outbreak and sees football as entertainment. Johnny was born in Lisburn and was just like any young lad growing up, he played a lot of sport, but his main love was football. A Newcastle United-obsessed kid who ran around his house every time Peter Beardsley scored eventually figured out that coaching was his path to top level football. "I was quite self aware in my late teenage years that I wasn't good enough to play football at a professional level. I always wanted to be involved at the top level of the game so I started coaching at 16 years old getting the very basic badges. "I took to it quite naturally and it snow-balled and opportunities began to present themselves. I've found nothing in life that can replicate what it's like when an important goal goes in," he said. Johnny's love of coaching saw him do a sports science course at Northumbria University. He started doing some community coaching in Gateshead and that lead to him receiving a big honour from Manchester United which led to his work with the Right To Dream academy in Ghana. "Yeah, Man United had named me as their Grassroots Manager of the Year in 2006 while I was still in university and the Ghana trip came up on the back of that. "The guy who was running the academy, who I'd randomly read about months earlier, rang me up asking me if I'd be interested in being a technical director/head coach and basically I went out for six weeks the following summer," Johnny explained. "It was a great experience and the contacts I built there helped me down the line. I wasn't that apprehensive about the move because I feel the more you risk sometimes, the more you get back. So when Ghana came up I just thought "why not?" and went for it." 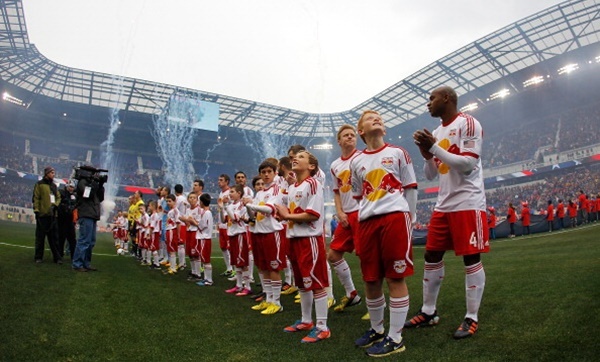 Johnny clearly isn't a guy who minds taking risks and the next stop on his journey was New York with the Red Bulls. An old contact opened the door for him and he ended up in charge of the MLS side's best players between 9-14 years old. "New York was an amazing experience. The club were fantastic and nothing demonstrated that and the type of people they were than when I was actually leaving the club. "I went to a meeting with the club's hierarchy and said I was willing to sign a ten year contract to stay, but I always said that you never know what happens with football." "Literally two weeks later, the offer came in from Sierra Leone to run the Craig Bellamy Academy." "I went back in to the guys in New York and told them about it and they were so supportive, they basically said they understood why I wanted to go and said if it didn't work out they'd find a position for me in New York, it was an amazing gesture. "For that I learned whether it's staff, coaches, players or whatever, you have to take the man first and their character first and then hopefully they'll have the talent as well. You need good people around you." The Craig Bellamy Foundation is the only professional football academy in the country and Johnny was its technical director. Two years later the biggest football job in the country became available and his head was turned. "Even though I was working at the academy I had a real interest in the national side and went to all of their homes games. 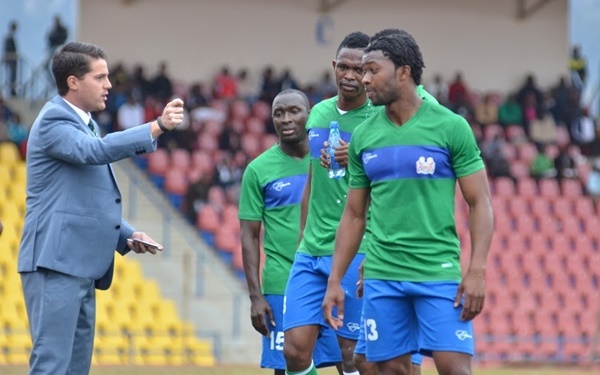 "Then the job came up, the previous coach resigned and there were only three World Cup qualifiers left and Sierra Leone only had a slim chance of getting there. 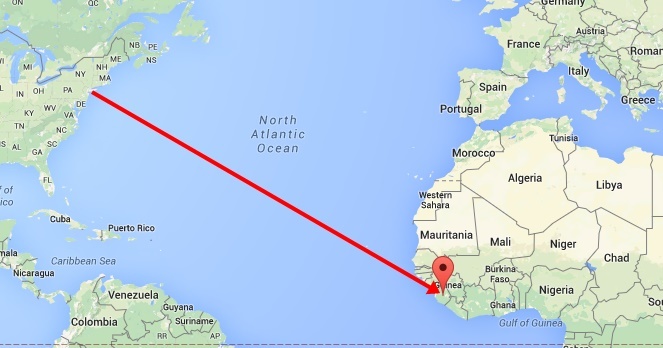 "The word on the street was that they'd appoint a local guy because they wanted someone based in Sierra Leone. I saw that and thought "if I get in the room with the people who make the decision, there won't be a decision" because I was the best coach in the country. 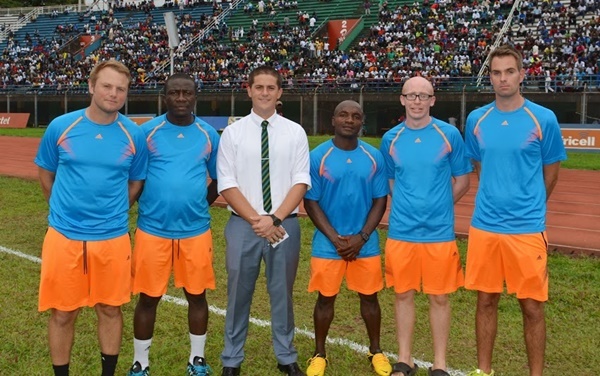 "I don't mean that to sound egotistical, I felt I was the best football coach stood in Sierra Leone at that moment. "I got in the room and I did convince them and they gave me the job, but I also had a real understanding of the country and the league there as well so that played a part too." Here was a 27-year-old taking on the manager's role of the national team, surely there was some resistance. "People in the country knew who I was because the academy is the biggest of its kind there, so I wasn't coming out of nowhere. "A number of people were open to seeing what I could do and if I did well, fantastic, and if not, it's not the end of the world. "There were obviously a few people who didn't want me in there, but once we started playing games, we got everyone onside." 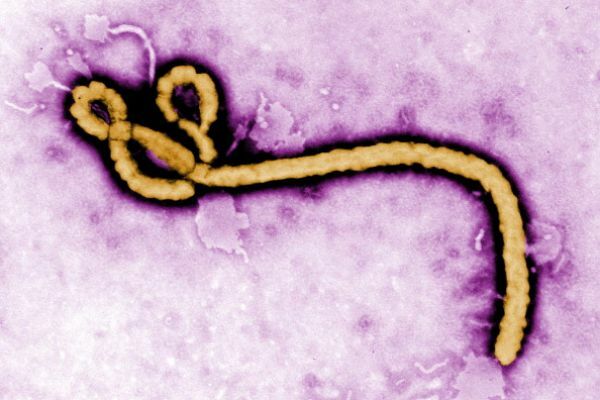 The Ebola outbreak started in Guinea in December 2013 but soon spread to Sierra Leone while Johnny was in charge of the national team and academy. Over 3,000 people died because of the disease and Johnny explained to us what it was like in the country at the time. "It was a difficult time. We were a little bit ahead of things because we had good contacts in the NGO sector so we knew exactly what was happening and we knew the precautions to take. "In terms of personal safety, there was never any concern. I think Sierra Leone reacted three to four weeks later than they should have, I think they were in denial which was tough on the country because the situation got a lot worse than it needed to." "A lot of people wondered why I didn't come home and I didn't stay for the national team, I stayed for the academy. "It was full of these kids who I brought to the academy at 11-years-old after convincing their parents to let them live and train with us. "I knew that we would be safe in there and if we upped sticks and left, other staff members might do the same thing and the kids might have come to harm. We went into lockdown and everything worked out OK thankfully. "My contract with the academy ended in December, I always said that I wanted to stay there for five years and I did it. We've handed it over to some excellent young English people so the future is bright for the kids and the academy." 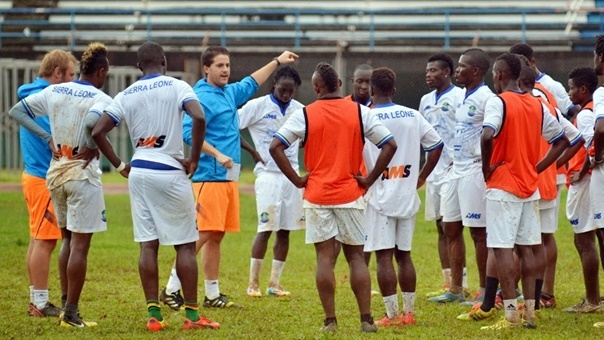 Johnny did a great job with Sierra Leone and they even broke into the top 50 of the FIFA Rankings during his tenure. 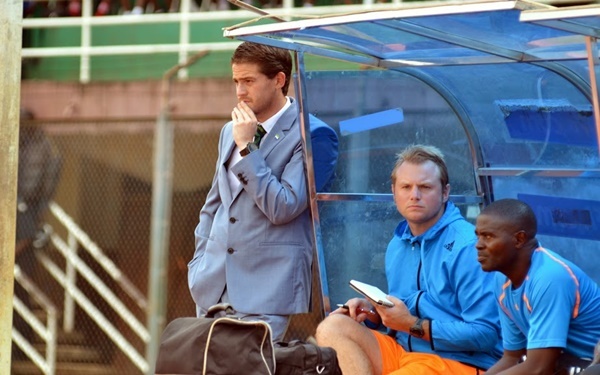 After defeats to Ivory Coast and DR Congo, the Lisburn man was sacked, by email. "Yeah [laughs], as you can imagine, it was like any termination letter that an employer might send. They thanked me for my work and said the decision was down to "performance" because we'd lost the last two games. "I was kind of expecting it, I thought I was in the last month of the job anyway. Because of the Ebola outbreak, we were having to play all of our games away from home which is very difficult at international level. "We'd lost to Ivory Coast and DR Congo and our next two games were against Cameroon in Cameroon and they were flying at the time. "We were probably going to lose those games so that would have been four defeats on the bounce so the chop was probably on the cards anyway. I genuinely believe if we'd been able to play at home, it might have been a different outcome. "The funny part about it is after we left the national setup there was an bit of an outcry wondering why they were letting a coach go who was taking us in the right direction. It was pleasing that we managed to win over the public." 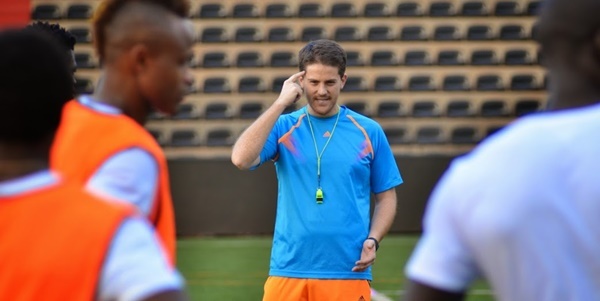 McKinstry had a number of different offers to take over three other national sides in different parts of the world, but opted to stay in Africa. 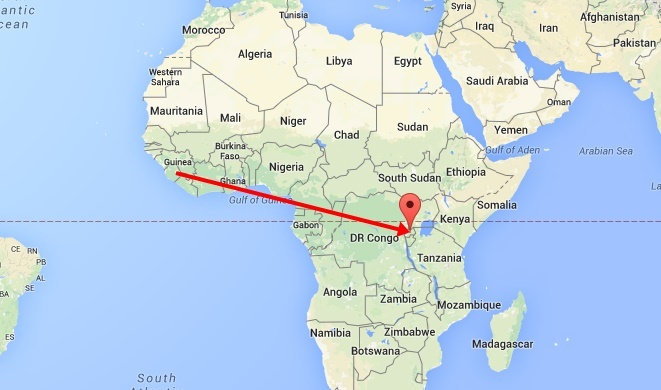 He headed west and Rwanda was the next destination. "I knew the previous coach Stephen Constantine, who is now in charge of India, and I knew a week before he left that he might be on his way so I started making a few inquiries about the country and the football team. "I looked at the job and I felt it was a team I could take to the next level so I decided to jump on board here in East Africa. The objective is to perform well at the African Championships which Rwanda are hosting in January." That's the second big tournament after the African Cup of Nations but the difference is that you can only pick players based in Africa. "I reckon a semi-final spot is achievable in that tournament. The contract here is for one year, but if we do well, it'll be extended by two more years after that." "I grew up watching the great Newcastle United teams of the mid-90s where flair and attacking football was their game. I believe strongly that football is entertainment. "I think Bobby Robson once said about Newcastle fans that going to football on a Saturday was like going to the theatre for those fans. I think that's true for all football fans, they want to be entertained. "That's where I want to take my teams to, but it won't happen overnight. You need to build up to that, there's no point playing fancy football and losing because result is key. "We are trying to get team shape and discipline right and build a solid base before we expand. It's like any sport, sometimes you have to adapt to who you're playing and we'll park the bus and play on the counter attack if necessary. "However, as a general trend we do want to play in an entertaining, attacking style." 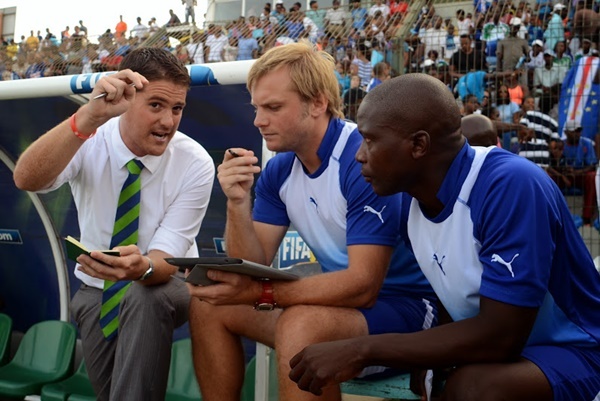 Speaking to McKinstry, it's impossible not to sense his ambition and determination to reach the highest level of the game. In terms of any short, medium or long term plans or goals, he says it's difficult to look too far ahead. "I have a very general, rough plan but it's all down to success at the end of the day. Let's say we win the African Championship in January, that might accelerate plans. "I do want to manage at the highest level be that in England, Germany, France or where ever. I'd truly love one day to coach Newcastle United but I'm happy to coach anywhere. "I understand that the opportunities you get presented are based on your track record, so hopefully my work here in Rwanda can continue on the upward curve I've been done so far."